Testicular swelling is the disorder of the enlarged scrotal sac. The scrotum, the scrotal sac is the house of testicles. The testicular swelling may develop due to an injury due to any underlying medical conditions. It may also because due to an accumulation of fluid, an abnormal growth or inflammation within the scrotum. The infection may be very painful or painless. If the infection is painful, the patient should get an emergency testicular swelling treatment. 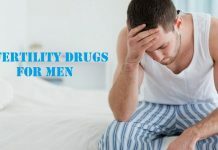 In many serious cases, the situation may depend on the given causes, due to not gaining treatment on time and result in the loss of the testicles or may be causing the death of the tissues. 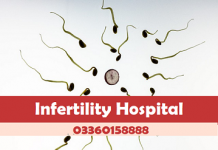 We have famous Chinese urologist in Lahore for testicular swelling treatment working in Zhongba Hospital. 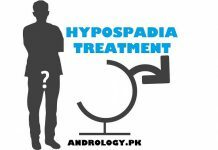 Other signs related to these conditions may be present before testicular swelling. Moreover, the visible enlargement of the scrotum, the individual may have other symptoms. Other symptoms, that people experience depends on the causes of the swelling. Many symptoms that may be experienced as scrotal swelling includes a bulge in the testicle and pain in the scrotum or testicles. Consult with our urology specialist if any person notices these symptoms. 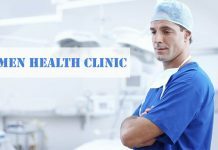 Testicular swelling treatment depends on the causes. If the inflammation caused due to scrotum swelling, your specialist will recommend antibiotics to remove or recover the infection. If antibiotics do not work, then intramuscular antibiotics will be recommended. Testicular cancer has many testicular swelling treatment options, which will depend on the harshness of cancer. There are many cancer treatments which are used but mostly surgery is recommended.